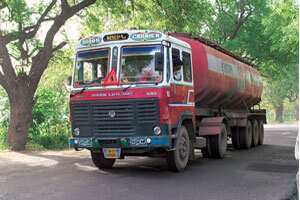 Smooth ride:India is one of the countries which extend subsidy to protect consumers from rising fuel prices. Singapore: Oil prices have jumped to a record high of $80 (Rs3,232) a barrel, but it will take more than the price hike to curtail demand for petrol in Asia. Analysts said near double-digit economic growth in emerging economies such as China and India, in addition to retail subsidies, and the strength of Asian currencies against a weak dollar will cushion the region, which is viewed as fuelling global oil demand this year. “At $80, I think there will be little impact on Asia because of its low demand elasticity with respect to the oil price," said Yonghun Jung of the Asia Pacific Energy Research Centre (APERC) in Tokyo. “I believe psychologically $100 is the trigger point." Asia’s crude demand is expected to reach around 25 million barrels per day (bpd) this year, against total regional crude production of less than 8 million bpd. Imports from the West Asia, which amount to 12-13 million bpd, are priced off benchmark Dubai crude—now at above $73. Paris-based International Energy Agency (IEA) sees crude demand in Asia Pacific going up by 700,000 bpd this year—or a half of the worldwide increase, and by another 800,000 bpd in 2008, or around 38% of the total. Dollar-denominated oil prices have rallied 31% this year, but in the world’s second largest consumer China, the yuan has gained 3.9% against the dollar this year, while the yen in the third largest consumer Japan is up 3.95%, and India’s rupee is up 9.5%. “You have to look at the currencies," said Marc Lansonneur, managing director of commodities derivatives for French bank Société Générale. “The dollar has gone down versus the yen, so the rise is relative." China and India have fuel subsidies that protect consumers, leaving demand inelastic to price hikes. Even with prices near $80 a barrel, motorists in China and India are paying the equivalent of about $50 for oil. “We have seen high prices in Asia and it has weathered the storm," said Gerard Burg of the National Australia Bank. “A number of countries have subsidies to protect them." An oil ministry official said on Monday that India had no immediate plans to raise the the price of transport fuel but may issue bonds worth Rs80 billion to state-run oil firms by the end of September to compensate them for selling fuel at the discounted rates. Chinese refiners started curbing throughput in August to limit losses as oil prices rose—a familiar pattern in recent years because of Beijing’s reluctance to liberalize fuel costs. But even this left crude imports in August up 19% from a year ago, after a 40% jump in July. “China has been resilient," said John Vautrain, vice-president of energy consultancy Purvin & Gertz Inc. in Singapore. “They are having their own problem with inflation. “If they push up the price of gasoline, it will make it all worse. High prices could slow supply but not demand." Traders said high prices also will dissuade refiners from building stocks. China has held off building up its strategic stockpile in the past couple of months, sources said. Analysts said in the longer term, energy savings through efficiency improvement and conservation will help stabilize Asian crude demand, but they cautioned the main short-term worry remained the US subprime crisis and its impact on economic growth worldwide. “If demand slows down, it won’t be because of the prices but because of the economic environment, if there is a perception of a risk of recession," Lansonneur said. However, the risk may be offset by fund money pouring into oil from poorly-performing equity markets, which traders have cited this week as a reason for the rally of crude prices. “There is still huge liquidity in the financial market, that money seems to flow into commodities, including oil, whenever the Dow Jones Industrial Average jitters," said Jung. “I reckon investors would choose uncertainties in the oil market to avoid uncertainties in the financial market."